Anyone who comes to Piedmont is in for a treat…..but anyone who comes to Piedmont in Autumn is in for a real treat! Not withstanding the stunning scenery they will also be treated to some of the finest foods in Italy, if not the world! “Italy has the most extensive larder of quality products – and we’ve still not discovered all of it” observes Bella Vita Expo magazine. To which I heartily agree but would also add a footnote that Piedmont has a large proportion of these first class products and a cuisine to match. Number one, of course, would be the ‘white gold’ of Alba, – the famous white truffle (tartufo bianco); then there’s tender Fassone beef, wild boar (cinghiale) and wild game; a whole array of vegetables including corn and garlic; sweet-tasting cheeses including the famous Castelmagno mountain cheese & Robiola from the Langhe; risotto rice from Vercelli’s paddy fields, hazelnuts & chestnuts, chocolate & world-renowned wine. Whew! Preparation is the key to enjoying this cuisine so I would suggest a small food ‘fast’ before crossing the mountains into this region of infinite culinary delights and pleasures! And one word of warning…..pace yourself with the wonderful choice of antipasti that arrive because there will still be the pasta course, meat and dessert! Let’s start with the biggest in every way….the Bollito Misto… but not before paying tribute to the lovely and unique Fassone cattle from Carrù near Cuneo who give us this classic dish. In mid December is the famous annual Fiera del Bue Grasso in Carrù which showcases the local Fassone and where Bollito Misto is available 24 hours non-stop for the thousands of visitors that arrive at this time. 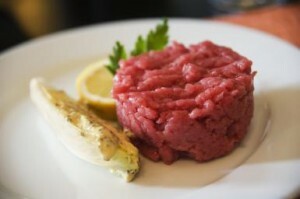 I’m not a great meat-eater but I have to say that the Fassone beef is delicious – it’s soft and tender which is why carne cruda (or steak tartare) is so popular in these parts and nearly always offered as one of the antipasti in restaurants. For a real traditional bollito misto the number 7 is important – 7 cuts of meat including ribs, shoulder, leg etc. ; 7 ‘garnishes’ to include tail, tongue etc. and 7 vegetables for the broth. After a few hours cooking (I think less than 7!) the dish is served with 3 sauces or ‘bagnett’ – a green sauce based on parsley, a red sauce based on tomatoes and peppers and ‘cognà’ a sauce or chutney of grape ‘must’, fruits and nuts. 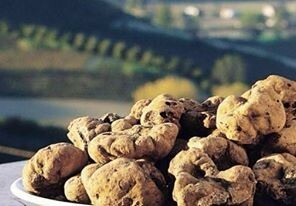 We’re now in truffle season and it’s always an exciting time in and around Alba as the Fiera Internazionale Tartufo Bianco d’Alba swings into action and the crisp autumn air over Alba – and the Langhe – is scented with the earthy smell of truffles. 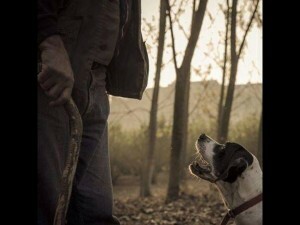 This year apparently the stars of the show are being given their due recognition – the truffle dogs themselves. These ‘bastardini’ or ‘tabui’ are cross-breed hunters that traditionally have always been used in the Alba region. On misty early mornings they sniff out the precious ‘white gold’ to fill the pockets of their masters – the trifolau. You can be sure that in truffle season nearly every restaurant can offer you truffles with your meal and, for a little extra on the bill, I think it’s worth it to be able to truly taste and experience Piedmont. For me the best way to eat truffles is to just grate one over a fried egg – I think it’s the simplest yet most delicious way to really taste the delicate white tuber. But, traditionally, in the Langhe tartufi (truffles) are grated over carne cruda and/or a simple pasta dish tajarin (or taglierini) al tartufo…..and actually any other dish you possibly can! There’s always been a rivalry between the two main towns of Alba and Asti – I’m not entirely sure how this all started but the feeling still remains that you’re either an Albese or an Astigiano. 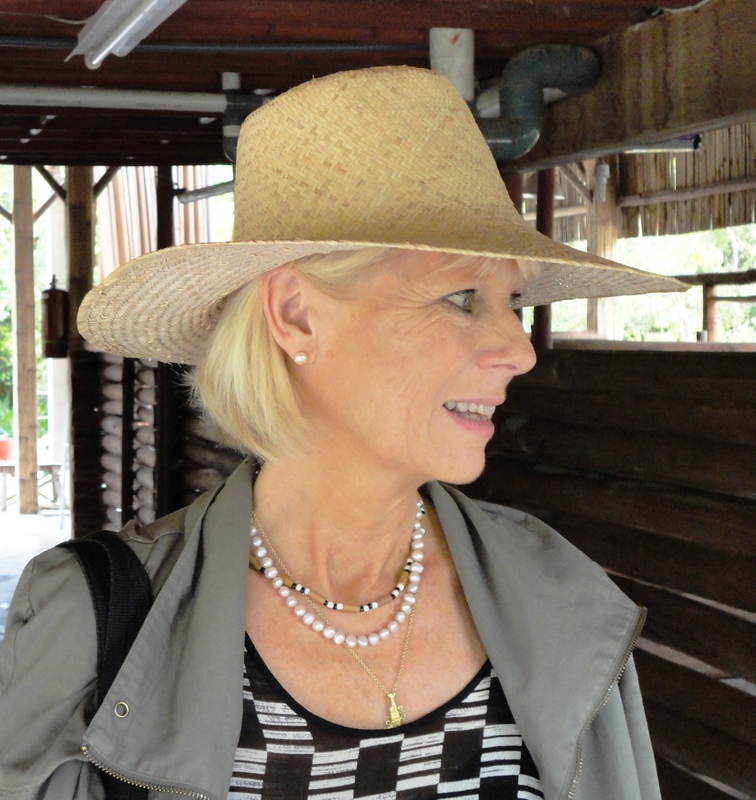 Because I arrived first in Alba and spent more time there – I consider myself more of an Albese! Both towns host the famous ‘palio’ horse race – Asti’s palio perhaps being generally more famous (sorry Alba!) but Alba’s ‘palio degli asini’ or donkey palio is also a major feature with a twist. 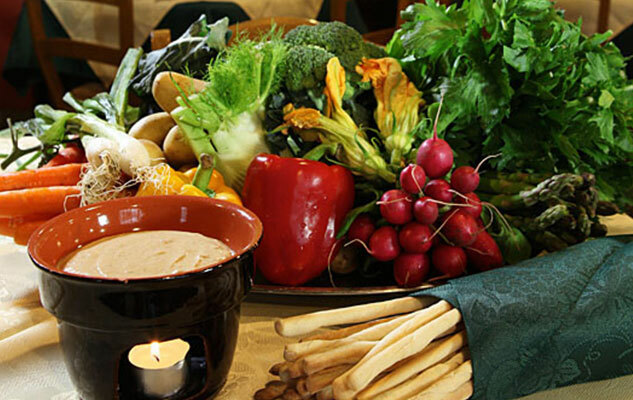 Another famous Astigiano product is Bagna Cauda – a hot zesty anchovy and garlic dip eaten with raw Piemontese vegetables as a sort of fondue. Initially it seems strange to have anchovies in this region but history has it that anchovies came to Piedmont via the salt trade – apparently they were used to cover salt being smuggled over the mountains from France. Very ingenious of the smugglers but then what to do with the anchovies? Well here was an answer that has since become a classic Piedmontese antipasto. Bagna Cauda is made by melting anchovies – first soaked in milk for an hour or two to let out some of the salt – then sautéed with olive oil, garlic, butter and cream. The sauce is kept hot or warm in a small pot over a flame and surrounded with raw vegetables such as carrot, peppers, Jerusalem artichokes, radicchio, chicory, cooked beetroot and ‘cardi gobbi’ of Nizza Monferrato. Cardo or Cardoon is a word that you probably haven’t heard outside of Italy – and possibly outside Piedmont – they are from the artichoke family and grow particularly around Nizza Monferrato, near Asti. There is a particular variety cardo gobbo which, as they grow, bend slowly over and bow down towards the earth giving them their name ‘cardo gobbo’ or the hunchback cardoon. Whenever I think of rice, risotto and Vercelli I think of women in rubber boots and shorts….because, of course, of the film ‘Riso Amaro’! However women are very much part of rice culture, in the fields and the kitchens. You can’t come to Northern Italy and not eat risotto – it’s an absolute mainstay of the cuisine and particularly in Piedmont which, together with Lombardy, produces the main bulk of Italian rice in the ‘pianura’ or ‘land of the waters’ around Vercelli and Novara. Risotto al Barolo would be a great choice for a hearty lunch on a misty autumn/winter day or the Vercellese speciality panissa which is their version of ‘rice and beans’ a dish that you find all over the world and is a complete meal in itself. 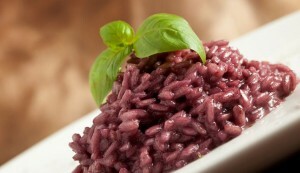 If you happen to see it on the menu and want to try something different order risotto con le rane (frog risotto). Frogs were once an important food – especially in hard times – obviously with all that water around frogs were everywhere and were therefore free food. They could either be fried as rane fritte, used instead of chicken in a soup or boiled (strung together and lowered into boiling water) and served in risotto. I remember a place just outside Ivrea where we ate a delicious plate of frog tempura. The young chef was experimenting with a fusion menu and his food was delightful – the crispy batter and delicate frogs’ white meat made the whole dish light and tasty. The Vercelli women knew what they were doing! 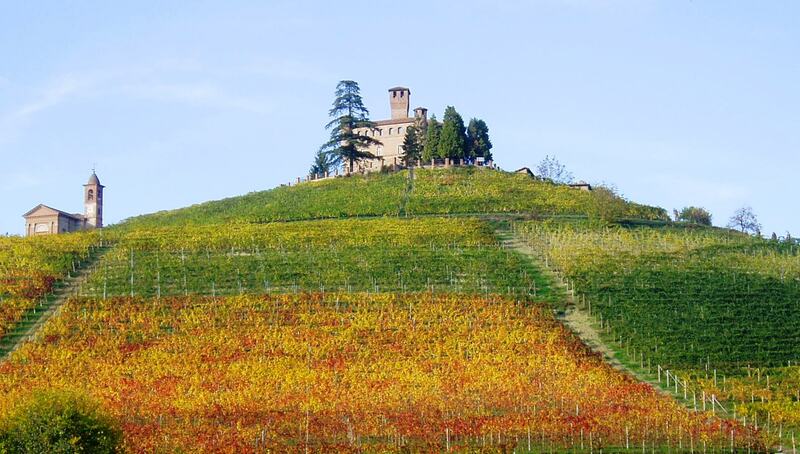 As I said, this is just an introductory taster to the food of Piedmont….foodies will be in food heaven here! There is so, so much more to add to his list but these dishes will already give you an idea of the richness of the land and the creativity of the people.